I write for the surprises. Now don’t get me wrong: I like the moments when it feels like I have some semblance of control over my story, and I know what I want in a scene, and it happens correctly, and the prose feels solid and evocative. But the best is when something happens as I’m writing that surprises me. Because in my experience, those surprises are where the magic lives. Here’s an example: In my novel HONESTLY BEN (coming from AAL Books/Scholastic, March 28th) I have two characters who are in love but struggling to admit it. One is a gay boy named Rafe. He has known he’s in love with Ben for a long time, but he also is aware that Ben isn’t gay, or doesn’t consider himself to be gay. They had a fling but it didn’t work for various reasons, and there was a lot of pain for both characters. Now they’re trying to negotiate their feelings and their relationship, and in a scene I wrote for the middle of the book, I have them beginning to get closer, beginning to regain trust. I had them going for a late night drive to the ocean in frigid February in Massachusetts. I went into writing the scene with no real goal except for them to come away from the scene feeling more in tune with each other. I thought they might run into the ocean naked together. Yes, that would be chilly! That was just a thought of what might happen. Instead, as I wrote, I found Ben chasing Rafe in a joking sort of way along the hard sand. Ben leaps and tackles Rafe. Hard. On the sand. And they wrestle. In a serious way. I was not expecting that! I thought they’d dealt with a lot of their feelings, but it was so, so right, and I knew it as it happened. They quarrel verbally while wrestling, and when it’s done, they’re better. That there is a surprise! As I was writing, my skin got all shivery. There was a level, a layer, of passion that I did not understand until the tackle and wrestling appeared, and it carried me, it gave me a sense of momentum that would carry the book to its climax. Without the surprise, I simply don’t know how I would have moved forward. Sometimes our best plans aren’t good enough, and we don’t know it. Not until a surprise appears. And I guess my point is that when our novels take an odd turn, we have a choice. We can nix it. We can decide it doesn’t fit into our perceived ideas of what the book is, or what is going to happen. We can steer the ship rather than allowing the ship to turn on its own. That’s my prerogative. But I tend to think that when a surprise happens, I need to have a little faith that it means something. That I should follow it, and see where it leads. Because to me, surprises are God-or-Whatever’s way of showing up and leading me somewhere. And I’m going to follow! Bill Konigsberg is the award-winning young adult author of four novels. THE PORCUPINE OF TRUTH won the PEN Center USA Literary Award and the Stonewall Book Award in 2016; OPENLY STRAIGHT won the Sid Fleischman Award for Humor, and was a finalist for the Lambda Literary Award in 2014; His debut novel, OUT OF THE POCKET, won the Lambda Literary Award in 2009. HONESTLY BEN, available in March 2017, has already received starred reviews from Publisher’s Weekly, Booklist, and School Library Journal. Bill is Assistant Professor of Practice at The Piper Center for Creative Writing at Arizona State University. He lives in Arizona with his husband, Chuck, and their Australian Labradoodles, Mabel and Buford. Inside Scoop: Dish From a Literary Agent Intern – Contest Time! This week I present to you a contest of epic proportion… or rather marginally small proportion, with a few exciting giveaways. ‘Tis the season for blaring Holiday music, over packed stores and chaotic family get togethers that leave you drained and deflated. Well, I don’t think I can help with any of that, but I do know that a way to unwind in times like these is to be creative. At least for me, I know taking time to myself to do something fun, which gets my mind working in a carefree way, always brings me joy. Which is what this season is all about. 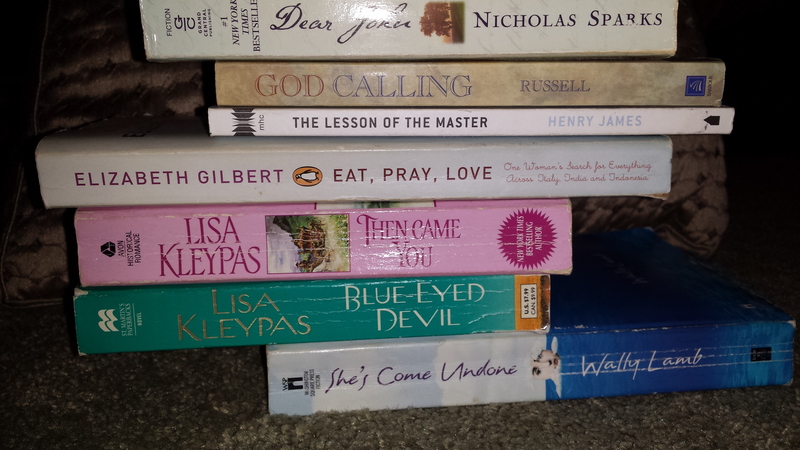 So I would like to throw down a book spine poetry contest. The rules are simple, using only book spines, create a poem, take a picture, post it, and the five I like most will win! You can see in the photo above what I am talking about (I wrote that from the inspiration of a special someone). FYI – THE PICTURES AREN’T POSTING IN THE COMMENTS, so after posting your entry in the comments, also email the picture to linda (dot) p (dot) epstein (at) gmail (dot) com. If you follow these guidelines, the best five I find will win some pretty stellar giveaways for their reading (and listening) pleasure. First place will receive an ARC of The Porcupine of Truth by Bill Konisberg; second place will receive a 10 minute Skype session with Linda; and runners up will receive The Hunger Games Trilogy book set; an audio of If I Ever Get Out of Here by Eric Gansworth; and an ARC of The Best Friend Battle by Lindsay Eyre (with illustrations by Charles Santoso). I wish you all the best of luck! Use your originality and talent and send me some authentic pieces of literary masterpieces using… well, literary masterpieces (if you so choose). I look forward to seeing what you all come up with and wish you all very Happy Holidays!! 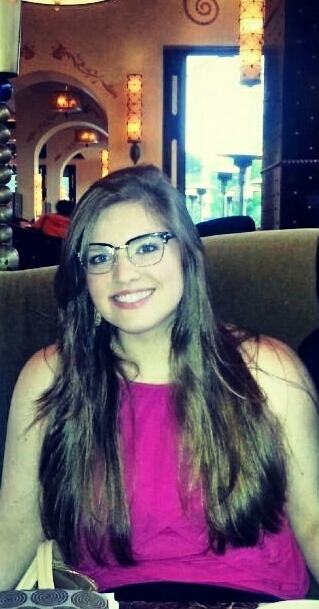 Kimberly Richardson is currently interning for Linda Epstein at The Jennifer De Chiara Literary Agency, while pursuing her Masters degree in Pace University’s Publishing Program. She also interns at the National Association of Professional Women. You can follow Kimberly on Twitter @kimberly_ann688. Holiday Presents for Writers and Readers: Book Give-away! Skype With an Agent! we will be giving away gifts! 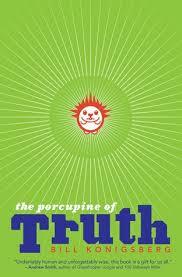 First of all, we have an ARC of client Bill Konigsberg’s THE PORCUPINE OF TRUTH, (Arthur A. Levine Books, May 2015). Did you love OPENLY STRAIGHT?! How about OUT OF THE POCKET? Well, THE PORCUPINE OF TRUTH is the next gem from Bill. The prolific and talented Andrew Smith (WINGER, GRASSHOPPER JUNGLE, 100 SIDEWAYS MILES, etc…) said that THE PORCUPINE OF TRUTH is “undeniably human and unforgettably wise,” and my very own husband said, “Great characters, great mix of sweet, serious, funny and important.” So there you have it. If you win this little gifty, you’ll get to read Bill’s next book months before anyone else! We also have a galley of Lindsay Eyre’s THE BEST FRIEND BATTLE (Scholastic, March 2015). This is a chapter book for kids aged 7-10, and is illustrated by Charles Santoso. (Charles is also the illustrator of client Joe McGee‘s zombie picture book PEANUT BUTTER AND BRAINS, coming from Abrams in Fall 2015.) If you have a friend who’s in 2nd through 5th grade, this would be a nice present for them! But wait! That’s not all! Because we’re also giving away a boxed set of THE HUNGER GAMES trilogy (The Hunger Games, Catching Fire, Mockingjay) in case there’s anyone left on the planet who hasn’t read these books. Lastly, we’re giving away a 10 minute Skype call with…Me! The winner of this gift will have 10 minutes of my undivided (ADD) attention, to ask questions about publishing, talk about books, ask for advice, etc…(but please don’t pitch me a project please). to see how to win one of these cool gifts! Thank you to Cheryl Klein, Arthur A. Levine Books, and Scholastic, for their generosity in supplying ARCs, galleys, books and audio books, which has allowed me to give away these gifts. Their generosity is appreciated.